We made it halfway through the week! And I’ve got the most delicious dinner idea for you today! Also, tomorrow is September 1. How?! How is August over already?! Where did it go?! This year has flown by! I can’t even believe it and I’m not ready for September. As part of the Jennie-O Switch Circle, I received the most delicious package from Jennie-O this month. The Sun Dried Tomato Turkey Breast is absolutely delicious and I’ve been really enjoying it in lettuce wraps with tons of veggies. The kids love it on sandwiches, of course. Ask for it at the deli in your local grocery! And then the All Natural Turkey Breast Tenderloin is one of my all-time favorites for slow cooker cooking. It’s also delicious grilled or baked! Super versatile! One of my favorites is to put it in the slow cooker with some barbecue sauce – shred it and it makes excellent barbecue sandwiches! 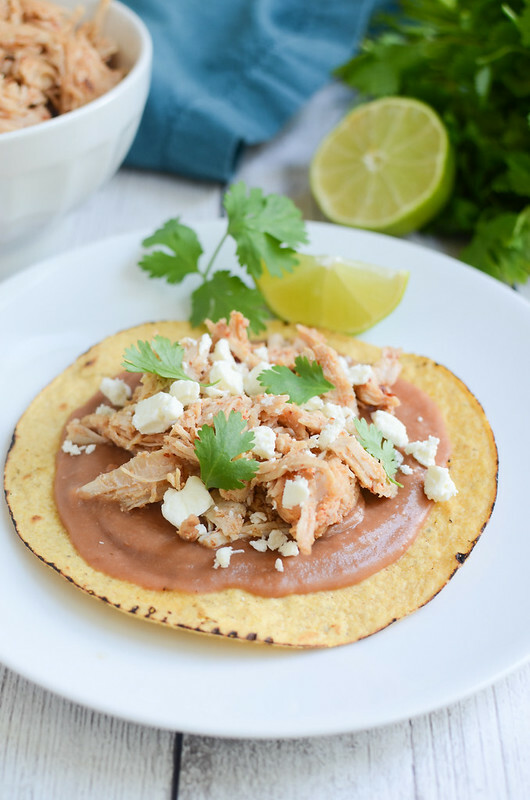 I used the All Natural Turkey Breast Tenderloin for these delicious Slow Cooker Sweet and Spicy Turkey Tostadas. I am obsessed with tostadas. My mom stayed with me for, like, a month back in February and we had tostadas pretty much every night and I have been in love ever since. I feel like they aren’t as messy as tacos but you still get the crunch you love in a taco, you know? 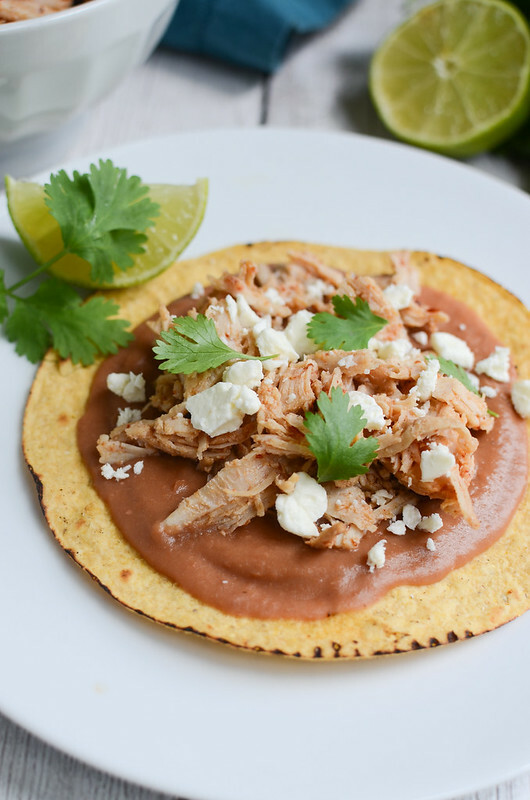 So the tenderloin is slow cooker in a chipotle pineapple sauce and then you shred it up and pile it on top of a tostada shell with refried beans, queso fresco, cilantro, and lime juice. Super simple and so delicious! Make sure you check out the Jennie-O Back to School ideas for so many more fantastic recipes and print out this coupon to save $1 on Jennie-O deli turkey breast! Combine chipotle pepper, adobo sauce, pineapple juice, brown sugar, garlic, and cumin in a blender and blend until smooth. 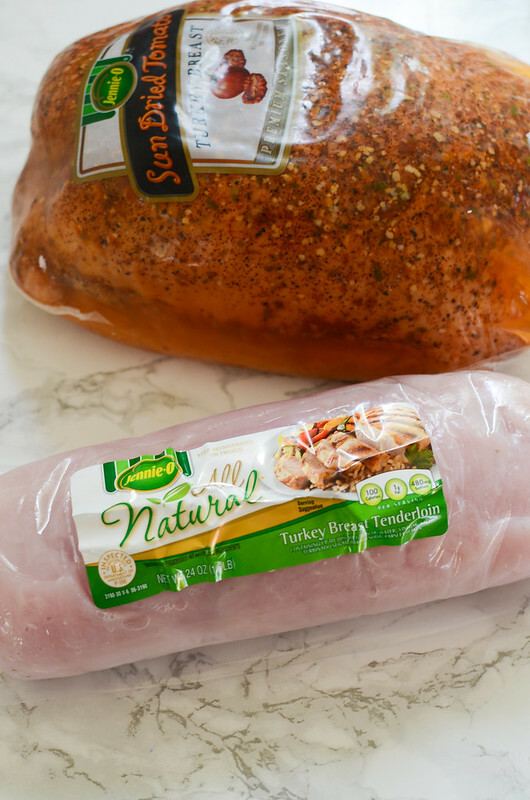 Put JENNIE-O® All Natural Turkey Breast Tenderloin in slow cooker and season with salt and pepper. Pour adobo sauce on top. Let cook on low for 7 - 8 hours, until turkey shreds easily. Remove from slow cooker and shred. Toss with about a cup of the liquid from the slow cooker. 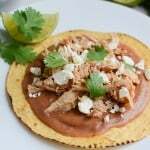 To assemble tostadas, spread refried beans on tostada shells and top with shredded turkey. 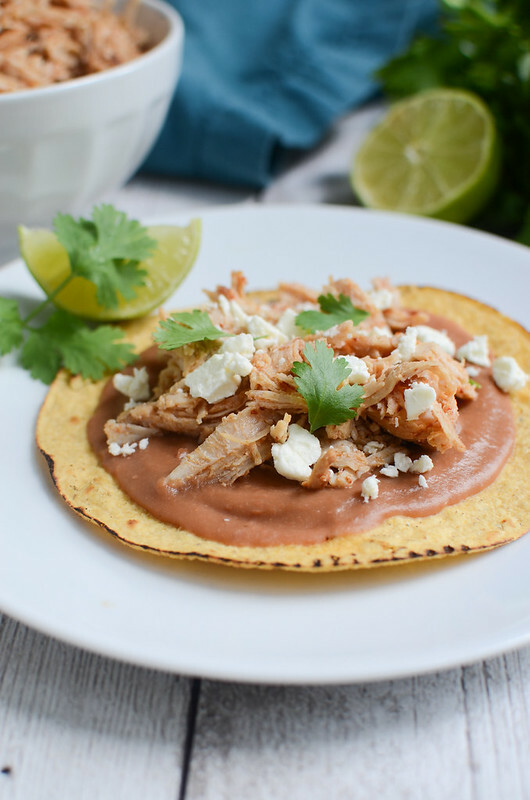 Sprinkle with queso fresco, drizzle fresh lime juice on top, and top with cilantro.